For many years a happy hunting ground for industrial enthusiasts. Birkenhead's dockland, with the passing of the steam locomotive, has lost much of its appeal. The method used for handling rail traffic in the area was almost unique. 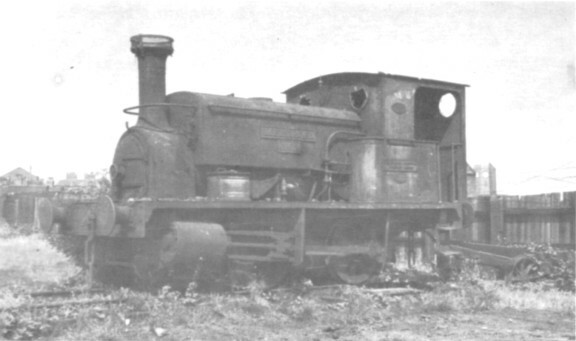 A few of the larger factories had their own locomotives, but the majority were content to hire the services of "shunting contractors". 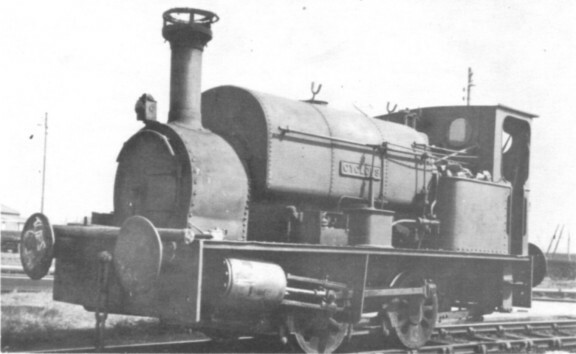 Three private firms maintained fleets of antiquated steam locos, with which they shunted the contracts they obtained; not to be outdone, three main line railways, (LNER, LMSR, GWR) also kept obsolescent machines in the district, as they too quoted the work. It was the subsequent introduction, by British Railways, of a fleet of modern diesel shunters available at new low tariffs, together with the general decline of rail traffic, which spelt doom to the private firms. To the present writer's knowledge, the only similar arrangement that has existed in this country was at the Swansea Docks prior to the GWR take-over there. 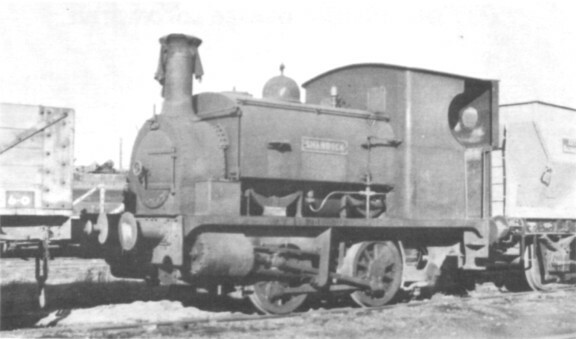 Cudworth & Johnson Ltd, of Wrexham, did brisk business hiring locomotives to the contractors, and the illustrations show three of their better known machines. CYCLOPS (below - upper) hailed from Woolwich Arsenal. Built by Hudswell Clarke (451 of 1895) it was easily recognised by the sound of its huge chime whistle, the notes of which echoed eerily amongst the cavernous flour mills. The whistle incidentally, was inscribed "Star Company, Pittsburgh". SHAMROCK [middle] was built by Hunslet (411 of 1886) and came to the docks during World War 2. C & J rebuilt it during the early 1950's and it lasted until 1963. The final photograph [bottom], taken by Mr. J. F. Ward, shows MELSONBY No.3. A Manning Wardle, (1681 of 1906) obtained from Yorkshire in 1946, it earned a good reputation for hard work until its boiler failed in 1954.